You will find Lysefjorden Lodge in the end of the Lysefjord. 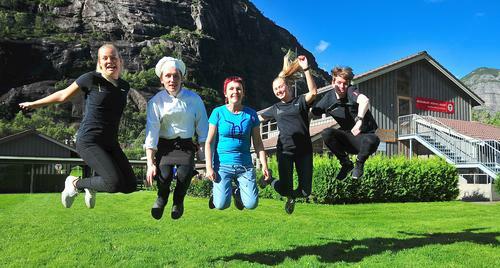 It is the starting point for many exciting hikes, whether you want to hike Kjerag, try Stavanger Trekking Assosiation`s (Stavanger Turistforening) cabins, or just stroll around the beautiful area of Lysebotn. Members of DNT gets 20% off at accommodation. Members of Hostelling International gets 10% off at accommodation.